I love history and thoroughly enjoy exploring ancient structures and spending hours in museums. However, this is not Ankur’s idea of fun. Ankur needs the sea and the sun. After having spent three days exploring Croatia’s interesting history in Dubrovnik, I had promised Ankur that I will not peep into any historical monument in Hvar – no ruins, monuments or museums. 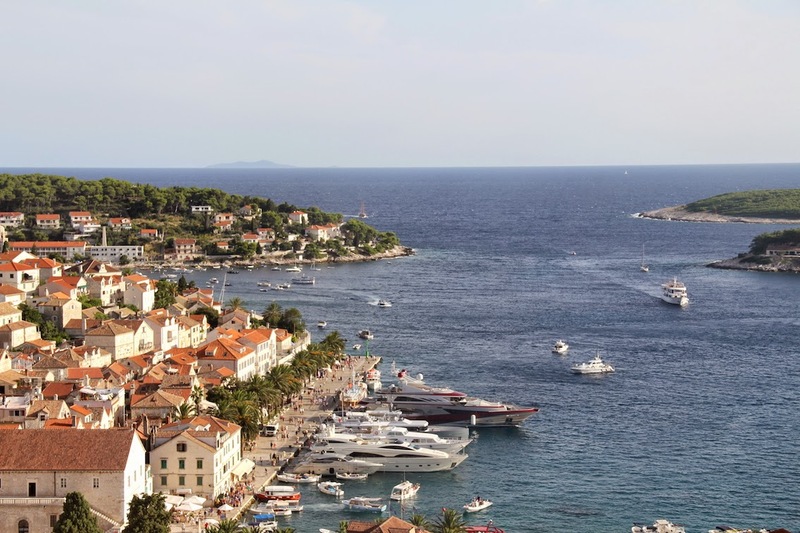 Three days in Hvar was time for ‘fun’ – Ankur’s way: island hopping, cruising the Adriatic Sea, wine tasting and road tripping. 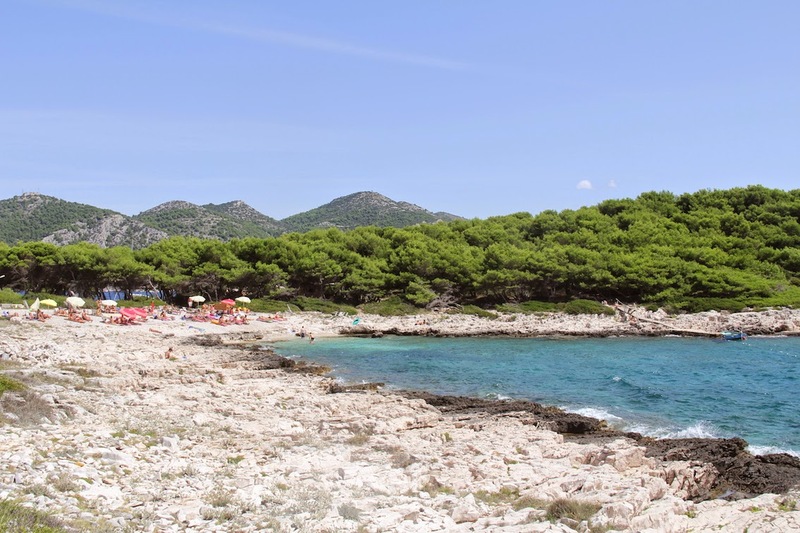 On our second day in Hvar, after having spent the entire day on the pristine island of Jerolim and ending it with a hearty meal, I had had enough of sun for a day and had caught up on my sleep by sun bathing the entire day. While Ankur spent a few more hours on the island of Jerolim, I decided to exercise my muscles by exploring the Hvar Fortress. In my defence, I did keep my promise – I did not take Ankur to visit the Fortress! 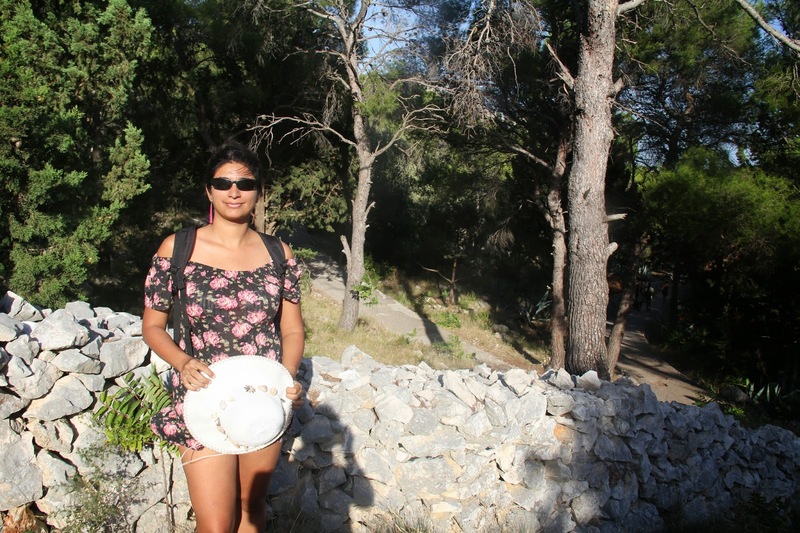 The Hvar Fortress or Spanjola (Spanish name for the structure) is a few minutes uphill from Hvar Town. 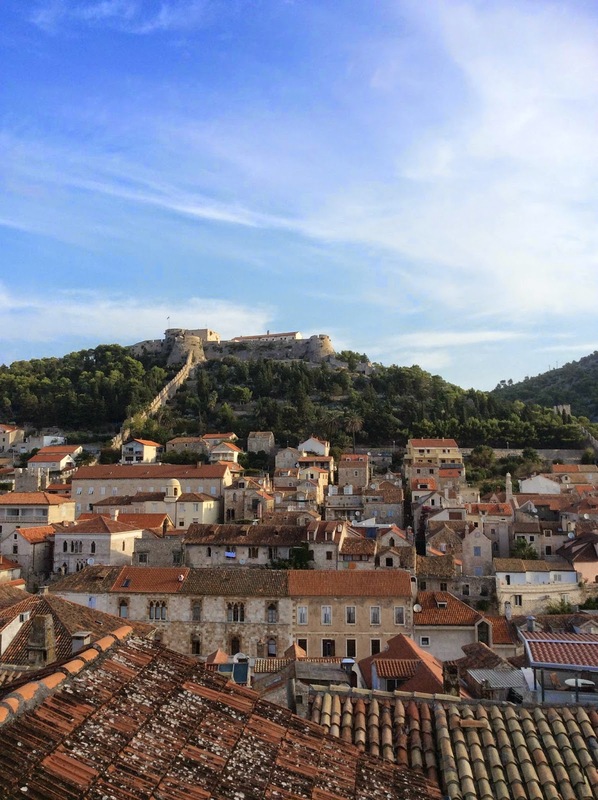 Just ask anyone at Hvar Town for directions to the Fortress – easy! It took me about 30 minutes to walk from the main square at the Old Town to the Fortress, including the shutter bug stops. A few steps followed by an easy slope – hop, skip and jump and I was there. The foundations of fortifications date back to the first half of the 1st millennium BC. The Fortress, in its true form, was constructed in the 13th century, when Hvar was under the Venetian rule. The construction was funded by local municipalities, which raised funds by selling salt. There were adaptations over the centuries and the Fortress finally achieved its existing state by the 16th century. The Fortress is called ‘Spanjola’ as Spanish engineers took part in the construction activities in the 14th century, thus giving it the Spanish name. The Fortress had four bastions, a church, a prison, several corridors, gunpowder rooms and numerous corridors – a massive structure with a strong civil engineering foundation. 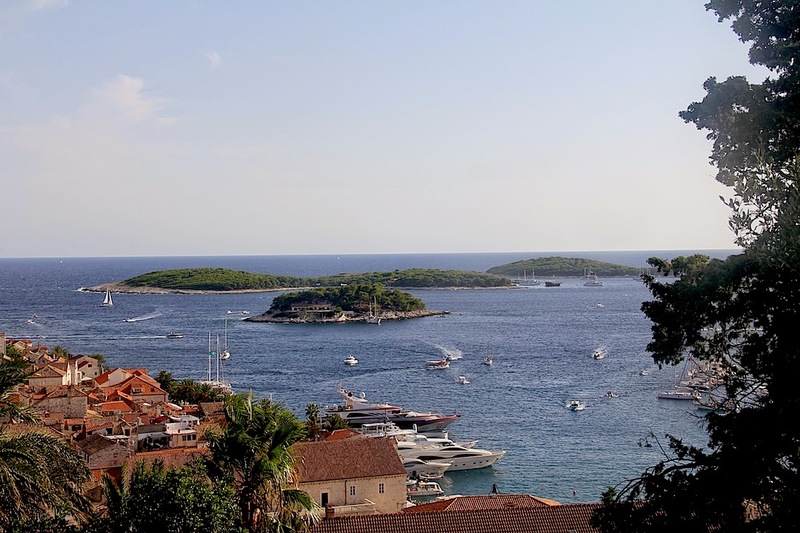 Hvar was an important town and the Fortress helped protect the town and the port. In the 16th century, when the Turks invaded Hvar, the Fortress gave shelter to all the town inhabitants and saved their lives. A few years later, lightning struck the gun powder room, causing an explosion and significant damage to the structure. As Hvar lost it’s strategic importance in the 19th century, the Fortress was abandoned for the ‘fairies to dance at night’. 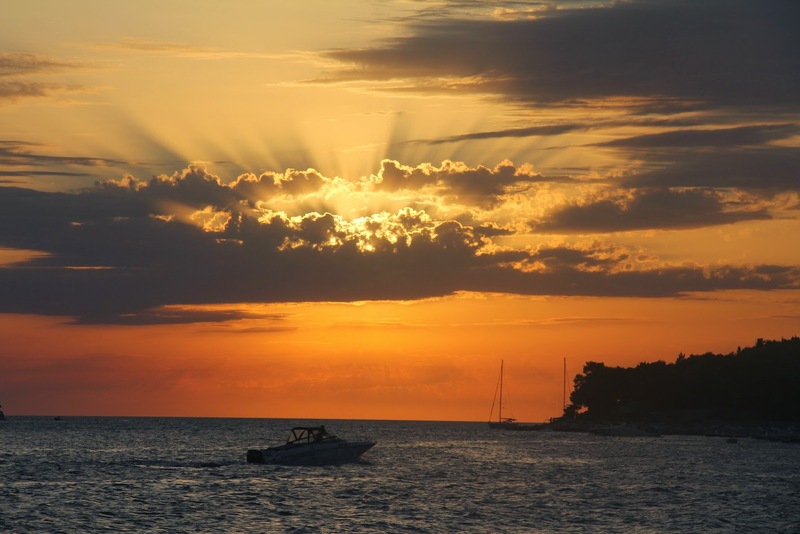 The Hvar Fortress offers excellent view points to watch sail boats and catamarans enter and leave the Hvar Town port. It the the best place to view the Pakleni Islands – emerald jewels floating in the deep blue sea. You can also see the island of Vis from the Fortress. The locals say that on a clear summer day, it is possible to see the Italian coast as well – not sure if that is true! The views were great while walking up to the Fortress and I did stop a few time to click some selfies. Yeah, yeah – Ankur and I have joined the selfie band wagon as well! However, if you really want the best views and feel the wind in your hair, you must buy a ticket to enter the Fortress and enjoy the sights from the fortifications. This is the best place to enjoy the sunset, perched 100 meters above the sea. I did not stay to watch the sunset paint the sky and headed back to the port after filling my lungs with fresh air. 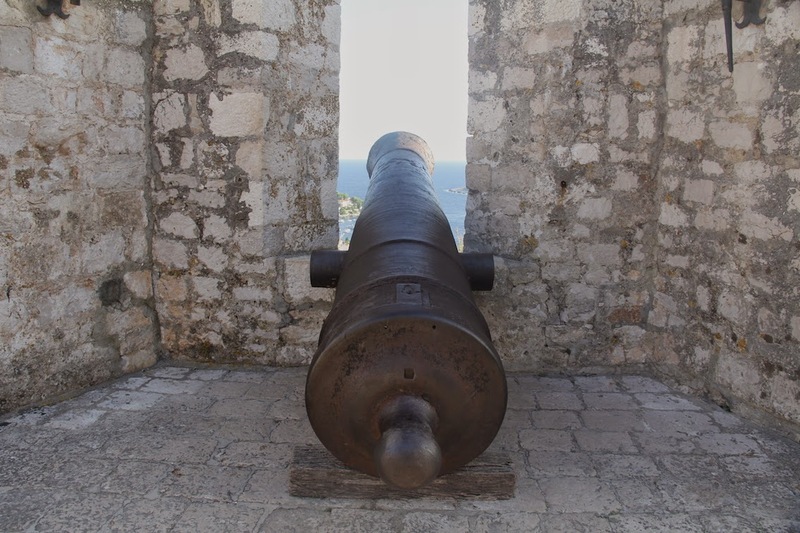 For those who like history, the Hvar Fortress is an interesting place to spend a couple of hours. For those who want to click panoramas – you cannot miss this place. If you are in Hvar to party and be merry, this is not the place for you – you’d rather be grooving at Stipanska than finding peace at the Fortress! While the Fortress is only a 30 minute walk from the Town Center, the walk is uphill. Suggest wearing comfortable footwear – beach slippers, shoes – whatever makes your feet happy. For those who do not want to walk and have rented a car, there is a route to drive to the Fortress as well. There is an entrance ticket to the Fortress – KN35. The best views are from the fortifications which can be accessed only after buying the ticket. Carry a bottle of water with you – much needed when you walk during the warm and humid summer months. It takes only 30 minutes or so to tour the entire Fortress. You can spend as much as you want sitting on the walls and enjoying the views. 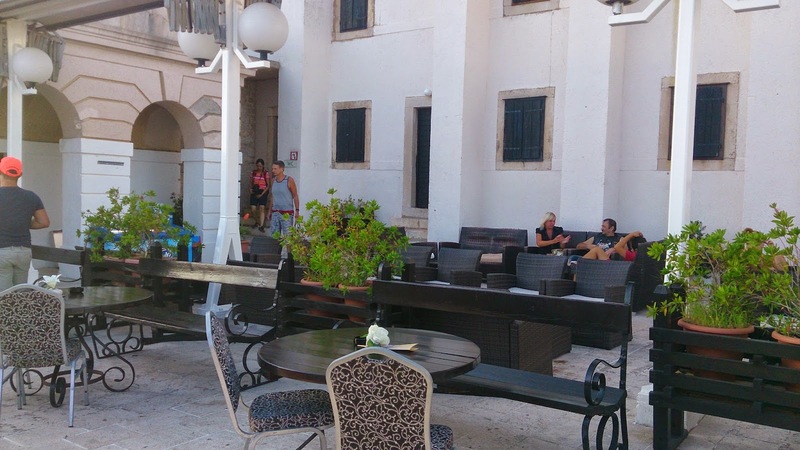 There is a restaurant inside the Fortress. Sip on a glass of wine and watch the Sun go down. If this is your plan, try being at the restaurant about 30 minutes before sunset to ensure that you get a table. For my photo enthusiastic readers, this is one place where you want to have a wide angle lens! If nothing else, definitely take a panorama shot of the Pakleni islands using your smart phone. Galle – Something for everyone! Great! I am not too interested in history, but I like visiting forts and castles, especially if they are with a background of mountains. Renuka…The Spanjoa has some lovey views and the breeze makes you want to fly! The restaurant on top is a perfect place to enjoy the sunset!